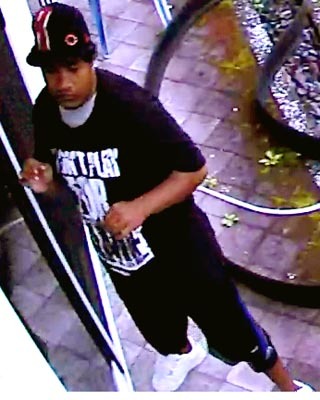 Hawaiʻi Island police are asking for the public’s help in identifying a person wanted in connection with a burglary investigation. 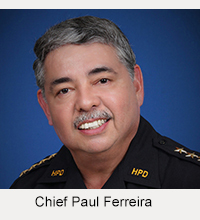 An unknown person entered a house on the 800 block of Kukuau Street in the Sunrise Estates subdivision in Hilo without permission. 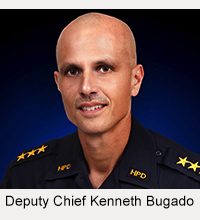 The suspect’s image was captured on surveillance video. The suspect appears to be a male in his late teens to early 20s, wearing a black T-shirt with white lettering on the front, black athletic shorts with a vertical blue stripe on the legs, white shoe, and a black baseball-type cap with a red letter “R.” He was also wearing a gray backpack. Police ask anyone with information about this case or the identity of the person in the photos to call Officer Christopher Jelsma at 961-2284 or 961-2221 or the Police Department’s non-emergency line at 935-3311.